This recipe will always have a very dear pace in my heart. Why, you ask? Well, it’s the first of my recipes to ever go “viral.” This recipe was published in my dessert column in Ami Magazine a year ago, and it was crazy popular. Here’s the cool thing. One of the ingredients in this cake, butterscotch chips, are only available in non-dairy and kosher through one company (that I know of). And while most kosher grocery stores in the New York area carry these chips, it isn’t something that they stock large quantities of. Which was never much of an issue, until my cake recipe was published. Suddenly, these chips were nowhere to be found. Nobody had them. Any store that could get them in sold out immediately. I heard from a kosher baking specialty store that they tried and tried to get more of the chips in, but they simply couldn’t. Lucky for me, I had stocked up beforehand. It’s been a year, and the chips are back on store shelves. And I am finally sharing this phenomenal cake here on the blog. You really need to make this. Don’t trust me, trust the masses. In a large mixing bowl, beat together the eggs and sugars until smooth. Add the vanilla and oil and beat to combine. Turn the mixer to low, and add in half of the flour mixture, then half of the milk, and repeat. To prepare the streusel: combine all ingredients together in a small bowl until they are fully mixed. Pour about 4/5ths of the batter into the prepared bundt pan. Sprinkle the streusel in an even layer over the batter. Pour the remaining batter over the streusel. The streusel should just be covered by the batter, as it will sink while baking. Bake the cake at 350 for 45 minutes. Remove from oven and set aside to cool. I always enjoy seeing what you bake for the magazine (even though there’s no chance of me ever finding those chips). Keep them coming! Omg haha! I remember when that recipe came out! I remember the guy in one grocery in Lakewood literally rolling his eyes about it to yet another lady asking for a bag of chips. Everyone was talking about it. I can’t wait to make this cake! Good shabbos and thanks for the recipe! 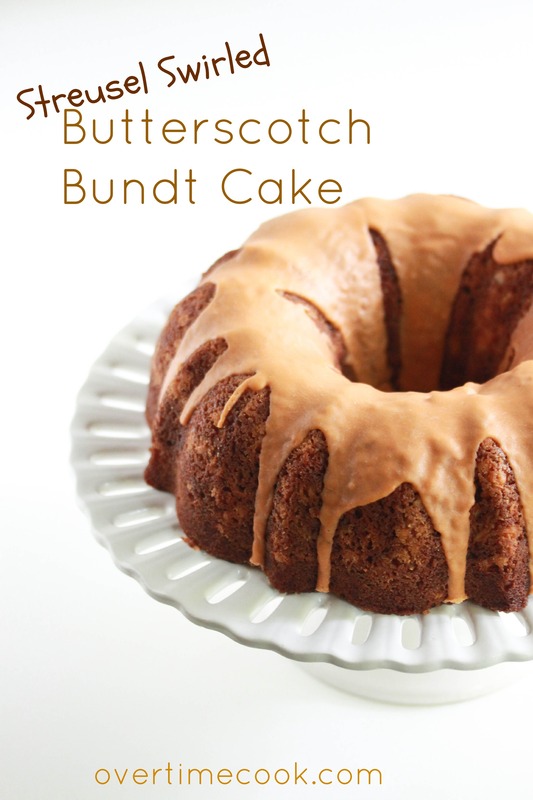 I absolutely love butterscotch, so I know I would be all over this! I actually have some butterscotch chips in my freezer right now! I’m a butterscotch freak, so this cake is making me crazy!! Love this recipe…I’ts going to become a classic Succos recipe in my house! I was one of the ppl who couldn’t find the butterscotch chips at the grocery store, so I bought caramel instead. It came out yummy! What is the brand of the parve butterscotch chips? Not sure what I am looking for in the store, or if I can find them. This recipe looks yummy! Are rolled oats the old fashioned oats in the quaker container? Just wanna make sure im using the right thing? 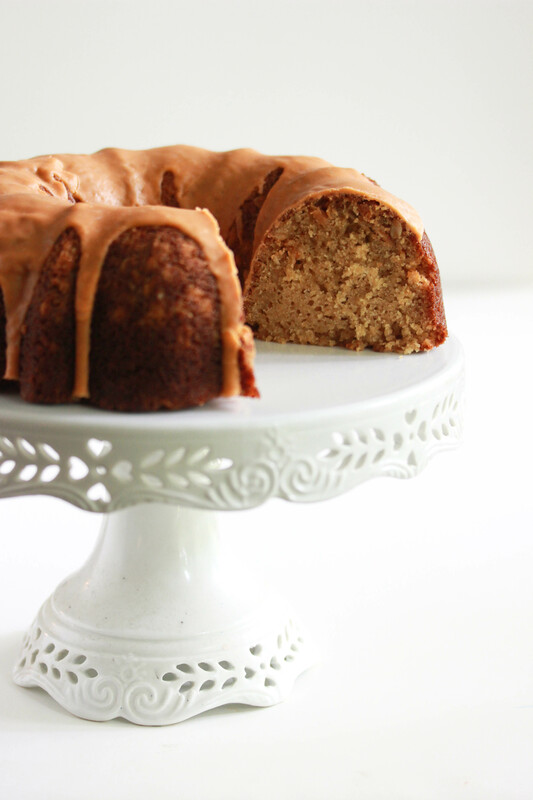 Your bundt cake looks GORGEOUS ! Do you think almond or coconut milk would work as substitute for the milk or rich’s non dairy whip? I made this cake and used the rich whip, (found a container in the freezer) Unfortunately, it did not come out well. The chips melted into the cake and the oats did not work out too well. I don’t think I will be making this again. should i do the glaze before I freeze or after? I’d prefer to before. Wait for it to cool! for milk substitute, is rich’s whip better or non-dairy creamer/coffee whitener? oats seemed a little crunchy…where did I go wrong? Really seemed to have potential, just not sure where I messed up. Hard to say without having been there…sorry. My sister made this for the chag, it was very yummy… I wanted more of the frosting, but I was too lazy to make it! hi i know this is an old recipe but do you think id be able to substitute the butterscotch chips for caramel chips? Anyway to substitute with white chic chips i can’t get butterscotch chips here? I don’t like parve white chocolate – it has no flavor. Rather use caramel chips if you can get them. They are shaped like chocolate chips, but they are a completely different flavor! Can i use soy milk for this or better whip?